The United States remains the only developed nation in the world that doesn’t offer mandated maternity leave. Although offering paid maternity leave is not enforced by law, you may come to find that creating a paid maternity leave scheme improves both the employee retention and hiring efforts of your firm. Moreover, an initiative to accommodate for new fathers and nonbirth parents is certainly something that should be considered, particularly when you look at the age demographic of prospective new hires. Professionals in their prime for starting a family will look for benefits such as paid parental leave. Especially if your firm is small to midsized and can’t compete with others offering higher wages, look at creating more enticing benefits to win over marketable candidates. 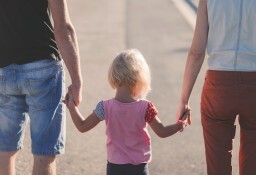 Parental leave also lends itself to better work-life balance and an office culture that respects family time, these are certainly beneficial to employer branding. Establish flexible working options that allow for new parents to ease back in to work or even lean on during pregnancy. Parenthood requires a lot of organization, but oftentimes unexpected curveballs are thrown. Offering flexible working options promotes trust with your team whilst affirming a culture of work-life balance. New studies are constantly confirming the benefits of working from home on both the employers and employees. In offering this option to staff, you will also come to see the benefits of your team collaborating and time managing better due to less in-person contact. Not properly accommodating for breastfeeding in the workplace can lead to women stopping breastfeeding altogether. Instead, provide new mothers with clean, private rooms so they may pump and store their milk. Supplying a refrigerator or even a small cooler in the refrigerator designated to breastmilk allows for mothers to more seamlessly juggling this already difficult task with their work. Providing breastfeeding accommodations in the office is the law in many states across the U.S. Know what is enforced by law and hear the needs of your employees in order to make accommodations that work for everyone. Click here to read about companies that fared well for working mothers.